M A K E M O V E S – Humanizing creative risk takers one podcast at a time. 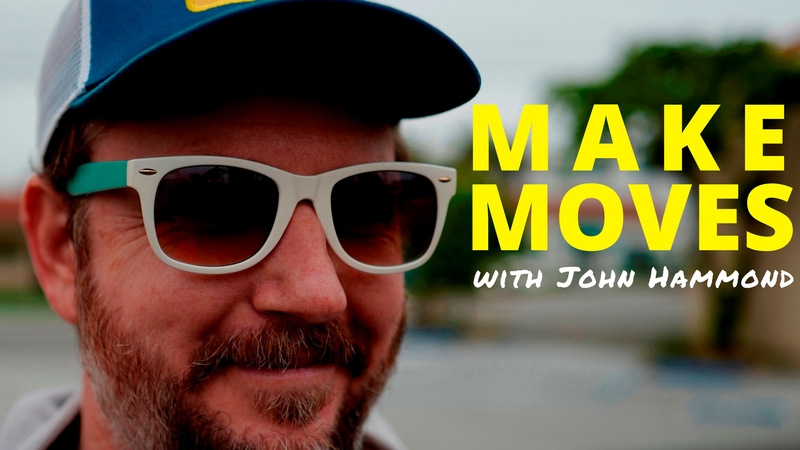 This is the official website for MAKE MOVES, a podcast hosted by John Hammond. MAKE MOVES is dedicated to humanizing creative risk takers. It is a place for us to peek into the minds of creatives and the people who support them by thinking – and doing things – differently. Guests include musicians and music industry visionaries, architects, journalists, farmers, dancers, artists, craftsmen, photographers, etc., etc., etc. You can poke around this website for show notes, breaking news, resources, and soon maybe merch that has yet to be dreamed up. Head on over to iTunes to subscribe, rate, and review MAKE MOVES. Not on iTunes? You can listen HERE on Stitcher Radio or Download HERE. Thanks for popping in. Come back often. Friend. Like. Tweet. Subscribe. Rate. Review. Welcome to the family. Go. MAKE MOVES!